Regretfully, the Treasures of Heaven program at Camp Shehaqua for Week 2 this summer has been cancelled due to low interest. Special needs children and their families are, as always, still welcome at Shehaqua, but each family will need to make their own arrangements for any special care needed. Please contact the leadership of the program you plan to attend, and we will do what we can to help. The beautiful 2015 Shehaqua T-Shirt was designed by Kyra Moyer. The shirt comes in kiwi or cornsilk for adults, and in yellow for youth. To ensure that you will get the size you need, please place your order at the time of registration for the Spring Gathering and Family Camp, but no later than April 21 for Spring Gathering and June 22 for Family Camp. Spring has sprung! 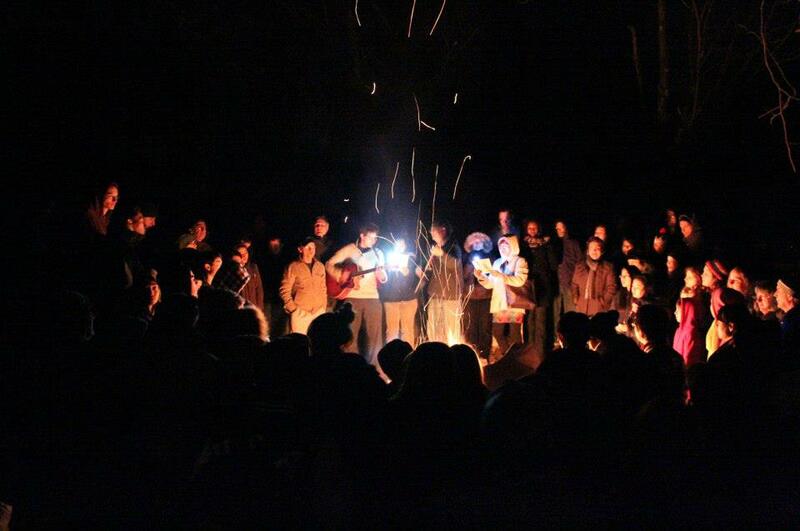 Time to shake off the winter blues, all that stress from shoveling and being cooped up all winter, and join us for our annual Spring Gathering at our beloved Camp Shehaqua! We're mixing things up a little this year! First off, we've got an awesome staff lined up! Danny Angelino is my Assistant Director (we train them young ;)). Brooke Abrahams and Kyra Moyer are heading up our education. Jake Mas and Francis Marchitelli are our Adventure Team. And Naomi Parks, Ethan McKenna, Carolyn Bonini, and Joe Hinkle are our Music Crew. 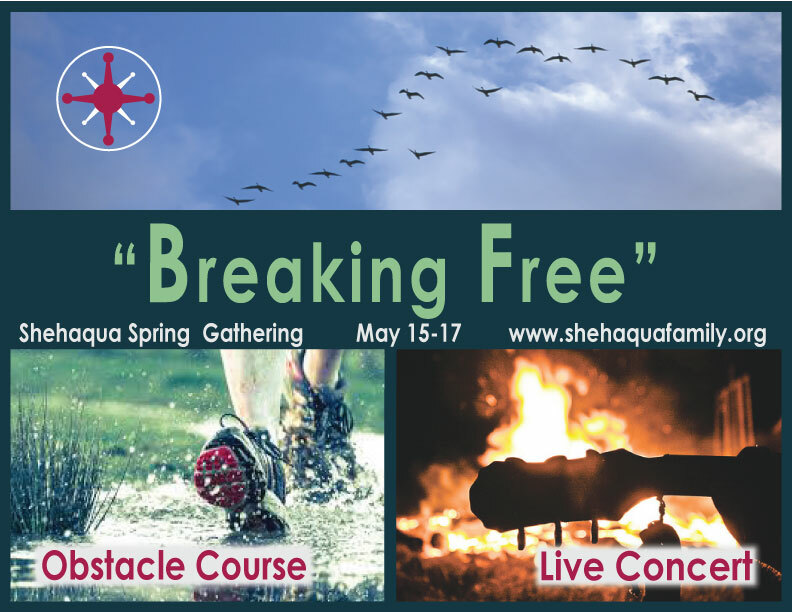 In line with the Spring Gathering's adventure theme, our motto this year is "Breaking Free!". Life is about growing, using the opportunities that come our way to Break Free of the things that hold us back—our fears, doubts, worries, insecurities—so that we can achieve our fullest potential! Thus we are excited to introduce Shehaqua's first Challenge Obstacle Course, the perfect event to push the mind, body, and soul to the next level together with friends and family! Who doesn't love music and the way it moves the soul? We're kicking off the spring with a rockin' live concert in the meadow! Featuring multiple acts, one headline band, and dancing. Enjoy the bonfire, s'mores, and games with family members of all ages. Bring your friends and family. See you there! Cost: $40 for ages 9 and up, if you register and pay by April 26. Click here for more details. Enjoy Week 1 with presentations, sports, crafts, music and plenty of free time to hang out together. If your schedule doesn't allow for a whole week of family camp, or if you are not sure that you want to commit for a whole week, then Weekend 1.5 is for you. Get a taste of the magic of Shehaqua during a weekend and come back for a whole week next year. Week 2 welcomes families young and old. Bring your 3-generation family to Shehaqua for a family reunion! Last year we had four grandparents with their grandkids at Week 2! And bring along your friends; everyone is welcome. First Blessing: Learn about Tai-Chi and Qi-Gong, which integrate movement, breathing and posture to maintain your health and help you work on the unity between your spirit, mind and body or actions. We will also be studying the Book of Genesis and the Divine Principle. Second Blessing: Explore healthy relationships and what we need to do to build and maintain them. Third Blessing: Explore and learn about stewardship of the environment, plus tips on retirement, earning more and being financially successful. We will also be sharing tips on healthy eating and living. The adult discussions occur in the mornings and afternoons, so you and your kids can still participate in all the fun activities at Camp. The discussions will be interactive, with lots of time for sharing and questions. We will be inviting guest speakers, so don't miss out on this. Exciting youth program in the planning stages...stay tuned. If you have come to Camp in the past, but your kids are grown, consider having a family reunion at Shehaqua. Here are the dates for this year’s Shehaqua camps. Save the dates in your calendar now, request time off at work, and get ready for another season of fun! We will send out another email when registration opens, in about a month. At that time we will also announce the camp directors for each program. The Shehaqua Family celebrated its 20th Anniversary in 2014. 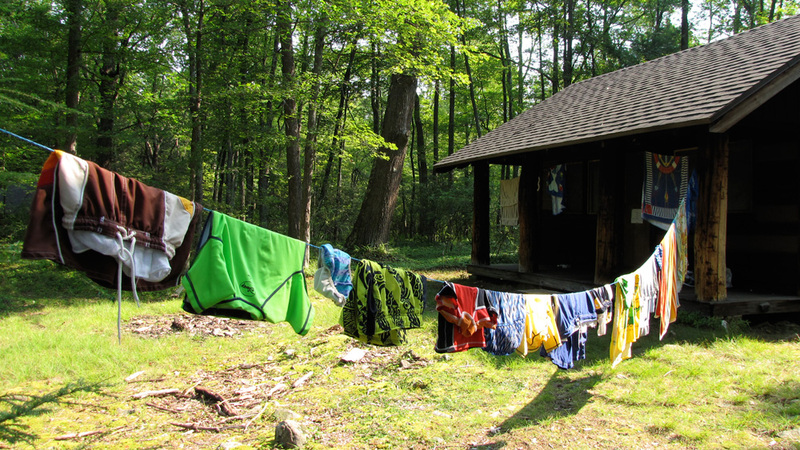 What started as a weekend camping trip by a few families in 1995 has slowly grown into a three-week program for large groups of families in rustic cabins in the Pocono Mountains of Pennsylvania, held every year in late July/early August. Over time, other programs have been added for fall, winter, and spring. We live in a culture where people are often disconnected from each other and as a result feel disempowered. At the Winter Retreat at Camp Innabah, we'll have the opportunity to participate in a series of presentations, break-out sessions and documentaries that will help us better understand the meaning and value of living in community. We'll cover topics that enhance a sense of community such as creating "community glue", business collaboration, sacred spaces and architecture, appreciating people's strengths, dynamic governance (sociocracy), volunteerism & service and we'll look at a various case studies of communities around the world. This will be a wonderful networking opportunity and a chance to build on the community spirit that has made Shehaqua what it is today. Registration is now open for the 2014-2015 Shehaqua Winter Retreat! Register before Nov. 30th by clicking here and receive the early bird prices. Information about prices can be found here. The program starts on Monday, December 29, at 10:00am, and ends on Thursday, January 1, by 3:00pm.